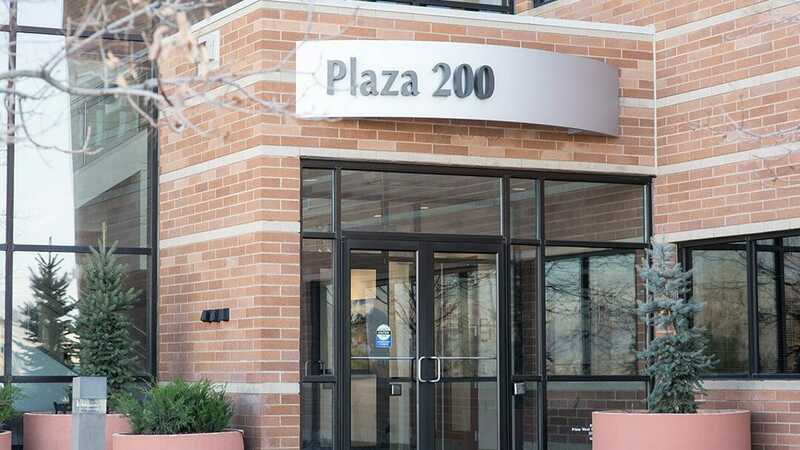 Our Highlands Ranch tinnitus and hearing center is located 1/2 mile south of C-470 off Broadway. Julie Prutsman, owner and founder of Sound Relief Hearing Center, is a third-generation hearing health professional. Her family entered the field of hearing health care in the 1950s. Julie earned her bachelor’s degree in biology from Marietta College (1996), her master’s degree in speech, language, and hearing sciences from the University of Colorado (1999), and her doctoral degree in audiology from the Pennsylvania College of Optometry’s School of Audiology (2003). Dr. Julie is a member of the Academy of Doctors of Audiology, American Academy of Audiology, International Hearing Society, and American Tinnitus Association. Julie grew up in Highlands Ranch and graduated from Highlands Ranch High School. Her husband, Patrick, is the business manager for Sound Relief Hearing Center, and they have two wonderful children, Ethan and Hanna. In her free time, Julie loves to read, travel, ski, and spend time with family. Dr. Jackie is a Colorado native and an avid hockey fan. She enjoys being a new mom to her son Will along with her husband Billy and beagle Madison. Kenzie is a Colorado native who earned her bachelor’s degree in speech, language and hearing sciences from the University of Colorado at Boulder. She then went on to complete her Doctorate in Audiology at Northwestern University in Chicago. Kenzie has enjoyed practicing audiology in a range of clinical settings. During her audiology residency, she had the opportunity to work at the National Institutes of Health, where she conducted hearing research in patients with complex medical needs and disorders. 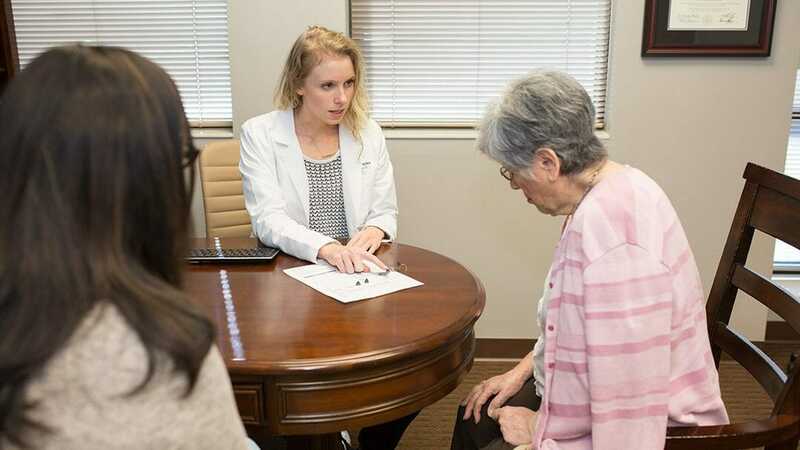 These experiences developed her passion for hearing and have translated into dedication to improving patients’ quality of life by providing treatment options for both hearing loss and tinnitus. Outside of audiology, she likes to spend time skiing and fishing in Winter Park, hiking, practicing yoga, and playing with her energetic family dog, Joey. Brenda has been licensed in Colorado as a National Board Certified Hearing Instrument Specialist since 2001. She has experience working in various clinical settings throughout the Denver area and the Western Slope. Brenda’s passion for helping her patients is evident in the time she takes to understand each person’s goals to enable them to achieve better hearing. She enjoys reconnecting people to the sounds they have been missing and enriching their quality of life. Brenda is a member of the International Hearing Society and is President Elect of the Colorado Hearing Society. She has been an active board member since 2016. Brenda is a proud Colorado native from Cortez and moved to Denver in 2006. She enjoys both the country life as well as city living. Her favorite activities are fishing, camping, snowboarding, hiking, traveling and enjoying the many craft breweries of Colorado. Brenda lives in Highlands Ranch with her wife Carrie and their dog Jack. Kimberly has been the Patient Care Coordinator in Highlands Ranch since April 2017. Kimberly grew up in Iowa and is a graduate of the University of Northern Iowa, go Panthers! She has been a Colorado resident for 20 years and loves the weather here. Kimberly, her husband Jacob, kids; Natalie and Preston and her mom Deb live in Castle Rock. Kimberly enjoys traveling, volunteering at her kid’s school, scrapbooking and spending time with her family and friends. Renee has been the Patient Care Coordinator in our Highlands Ranch office since March, 2018. Renee grew up in Southern California and made the move to beautiful Colorado in 2004. Renee enjoys traveling, hiking, golfing, baking, crafting, and sharing a great meal with friends. She can always be found cheering on her kids during their weekend activities. Renee and her two children; Hannah and Harris live in Highlands Ranch and enjoy all aspects of living in a close knit community. Hearing health is an easy thing to take for granted. However, it enables us to socialize, work, and participate in our daily activities. Hearing loss can sneak up so slowly that the person affected is often the last to know. Tinnitus can become increasingly bothersome to the point that sleep, focus, and relaxation are negatively impacted. Thanks to the latest technology in the hands of exceptional providers, there is help for you to overcome the challenges of tinnitus and hearing loss. It is essential to recognize the signs and symptoms as early as possible, so that hearing loss and tinnitus don’t limit your quality of life. 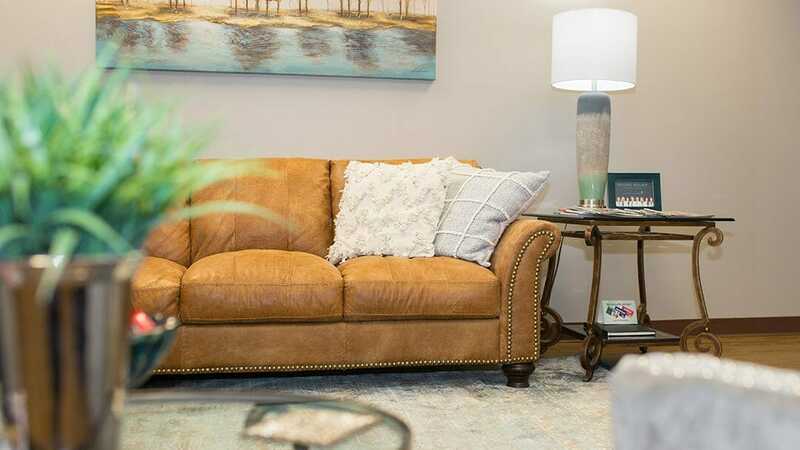 From routine hearing tests to tinnitus evaluations, patients looking for these services will find everything they need at Sound Relief Hearing Center in Highlands Ranch. 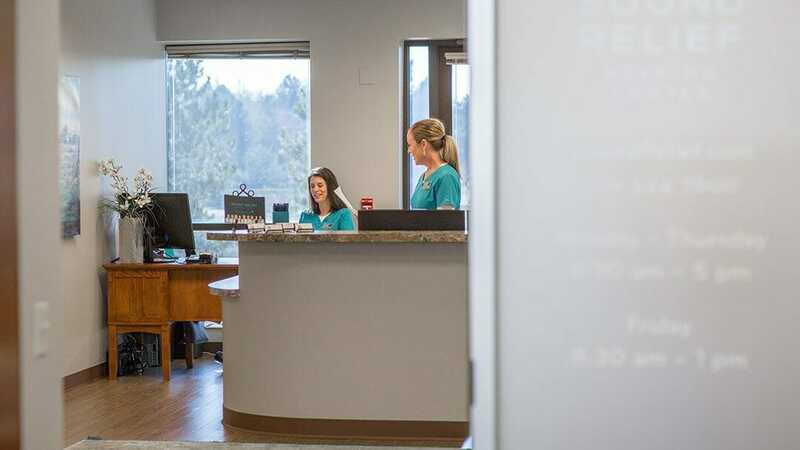 Equipped to handle all your hearing and tinnitus needs, our practice has invested in the latest technology and committed to continuing education to ensure you receive the highest quality of care. Do you live with ringing, rushing, or buzzing in your ears? You are experiencing tinnitus, a condition characterized by an awareness of a sound not caused by an external noise. Although tinnitus will not trigger hearing loss, its presence may negatively affect your daily routine, your relationships, your career, and your ability to relax and enjoy life. Whether it lingers in the background or dominates your sense of hearing, tinnitus can disrupt your day and leave you feeling frustrated and exhausted. For help, contact the doctors of audiology at our Highlands Ranch location. We can evaluate the severity of your tinnitus and recommend a personalized solution to treat your unique symptoms. 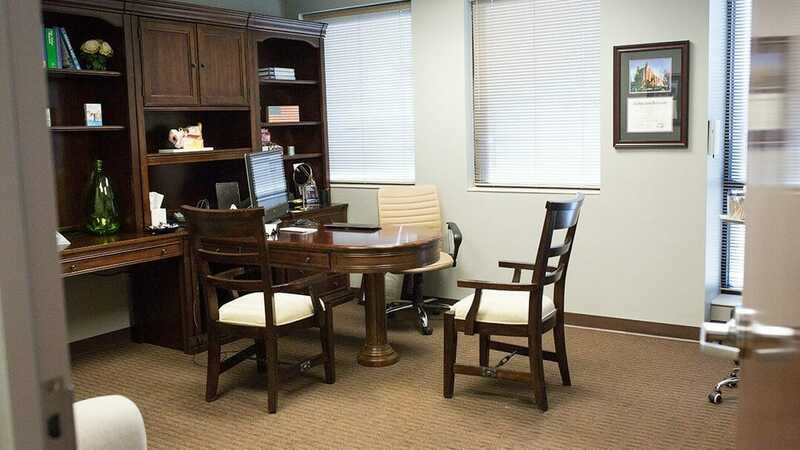 If you schedule a hearing evaluation at our Highlands Ranch office, we will begin by asking you a few questions about your medical and hearing history. Next, the audiologist will use a lighted otoscope to inspect your outer ear and ear canal for any abnormalities. They will pay special attention to any malformations that could impact your hearing test results or require a visit to an ear, nose, and throat (ENT) doctor. After that, we will conduct a hearing test in a soundproof booth to determine which specific frequencies you struggle to hear. If you find everyday sounds intolerably loud, wish you could turn down the volume on your life, find high-pitched noises, like alarms and babies crying, unbearable, you may suffer from hyperacusis. This condition is characterized by increased sensitivity to normal environmental sounds. The treatment for sensitivity to sound and tinnitus are very similar, and we are experts at both. You can purchase hearing aids at hundreds of different places in Colorado, from online shops to membership-only warehouse clubs to the offices of audiologists and hearing aid specialists. So why should you purchase a hearing aid from Sound Relief Hearing Center? We offer professional hearing tests, decades of experience, and personalized treatments. Plus, we only offer the best hearing aids available, and we provide a variety of options designed to meet any budget. To ensure that your selected hearing aid produces great results, we can customize the device to suit your needs and preferences. Above all, we promise to make your experience memorable and to provide you with the greatest return on your investment in your hearing health. The staff is professional and exceptionally service-oriented. They assisted me throughout my research of hearing aids and then guided me... The staff is professional and exceptionally service-oriented. They assisted me throughout my research of hearing aids and then guided me to the perfect solution. I never felt pressured. In fact, they spent and gave me as much time as I needed with my decision. After the purchase, the service level never dropped! All questions were thoroughly answered and I believe the staff truly has my best interests in mind. I would give more than 5 stars, if I could! Dr. Julie is absolutely amazing! She worked wonders for my mom (who had been to see over a dozen other... Dr. Julie is absolutely amazing! She worked wonders for my mom (who had been to see over a dozen other audiologist). We would travel out here just in order to see Dr. J. She is patient, incredibly kind and thoughtful. You feel extremely important and not like just another chart number. Don't wait - go see her!!! Great staff! The doctor whom I worked with was very friendly and thorough. She explained everything very well and showed... Great staff! The doctor whom I worked with was very friendly and thorough. She explained everything very well and showed me my options but didn't pressure me to purchase a hearing device. She did show me the options and discussed what the insurance would pay and what my out of pocket would be. Ultimately after discussing the doctor and myself agreed that waiting for a device was my personal best option at this time. I will be using them again in a year to check my hearing again and see where I am at. I've been a patient of Brenda Garcia at the Sound Relief Hearing Center (and previously at the Denver West Hearing... I've been a patient of Brenda Garcia at the Sound Relief Hearing Center (and previously at the Denver West Hearing Center) over the past five years. 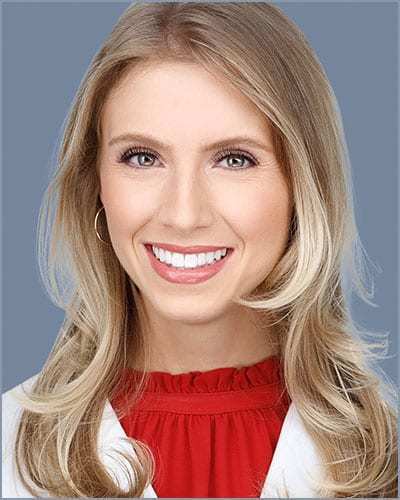 She is the consummate professional who not only thoroughly understands the physiology and technology behind her practice but has the communication skills to clearly explain every detail of their application to her patients. She is also a great listener. As an advanced-degree engineering professional myself who has a working knowledge of acoustics and the physiology of hearing, every interaction with Brenda has expanded my understanding of both subject areas. She possesses the rare ability to explain not only the what, but the why and how of the solutions she proposes. Brenda goes above and beyond in her practice and I have recommended her professional services to a number of engineering colleagues who have hearing difficulties themselves. If Brenda is representative of the other audiologists at SRHC, I can only give the entire organization the highest review. One last note; the administrative staff at SRHC are most engaging and courteous, and represent the highest level of professionalism of the organization. Like many people with tinnitus I suffered for years with the high pitched noise and the difficulties that come with... Like many people with tinnitus I suffered for years with the high pitched noise and the difficulties that come with it. Doctor after doctor told me there was nothing to do for it. Like most I tried every “scam” product out there, spent a lot of money, got no relief and the tinnitus continued to get worse. Then came the ads on TV with Dr. Julie for the Sound Relief Hearing Center. Yup, just another scam or so I thought. She ends with the words “What do you have to lose”? I had one answer, TINNITUS. There is no permanent fix for tinnitus, it will always be there but there is RELIEF. Six months later after my first visit with Dr. Jackie Smith and the help of a hear device designed to relieve the tinnitus my TV volume is normal again, I can enjoy family dinners again and I’m a much happier man than I was. Ladies and Gentleman if you suffer with tinnitus like I did don’t wait another day. Call Sound Relief Hearing Center and get the help you need. You’ll be glad you did.